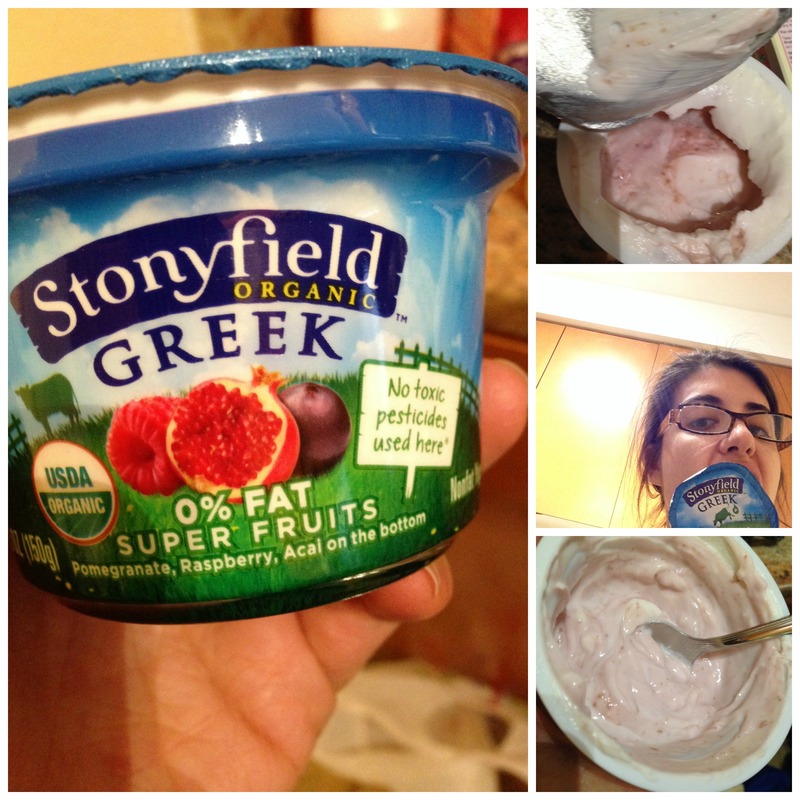 I try to only buy Organic dairy products for my family, which can get pretty pricey so when Stonyfield offered me the chance to sample their new flavors of Greek yogurt I jumped at the chance…even though I’m not generally a fan of anything with 0% fat. 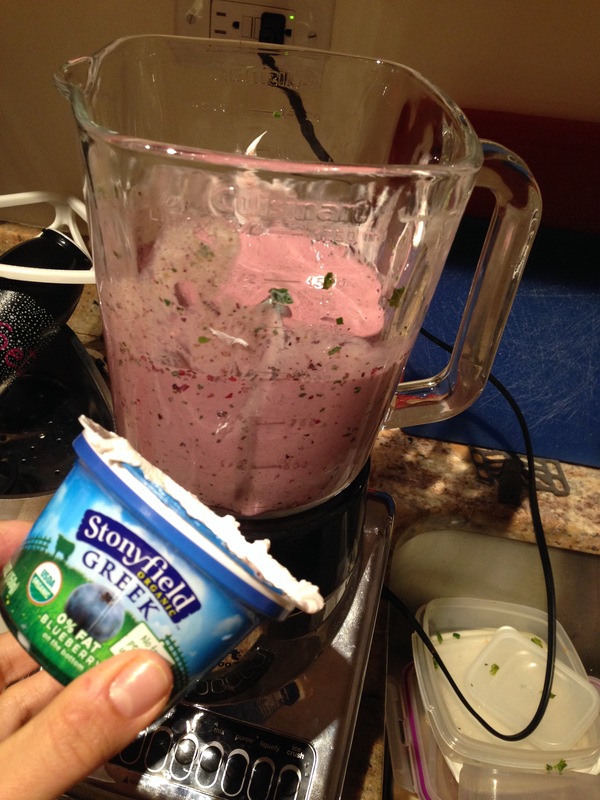 In the last year or two, Greek yogurt has gotten pretty trendy–with almost every yogurt company trying their hand at making this thicker, creamier yogurt. I don’t know of any other company that makes a fully Organic product free of GMOs. But would the taste stand up? 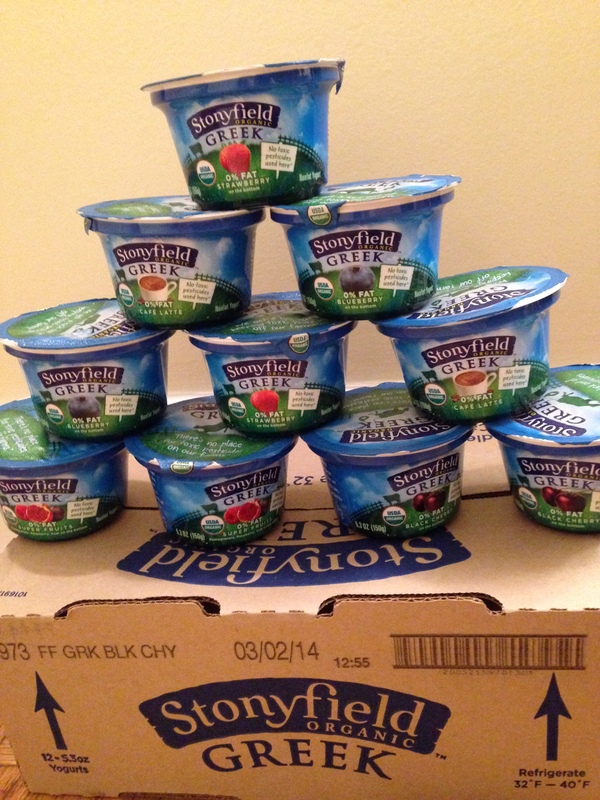 I figured that I’d get to try a container or two…but, as you can see, the folks at Stonyfield wanted to make sure that I could really get my taste on! I got to sample the new flavors: Cafe Latte and Black Cherry, in addition to already established flavors of Blueberry, Super Fruits and Strawberry. As any yogurt lover knows, just like with pudding, when you crack open the foil top of a container, the aroma should automatically draw you to lick the top. Even if it results in a somewhat unflattering photo. Check. Superfruits, Black Cherry, Blueberry and Strawberry were all a win on that one…the jury’s still out on Cafe Latte, but I’m kind of a coffee purist. 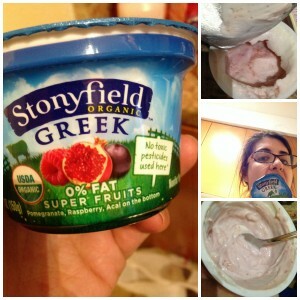 Even with the fruit mix-ins, the yogurt stayed rich and creamy without getting that too-syrupy jam-y mouth feel. 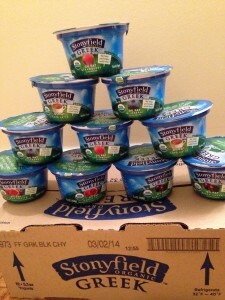 All in all, I’d have to agree with Stonyfield that You Gotta Try It! 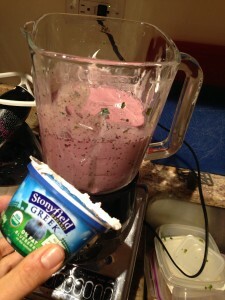 This entry was posted in Food and Drink, Food related, meatless monday, Products and tagged #meatlessmonday, smoothie, stonyfield greek, yogetter by jessica. Bookmark the permalink.